I am Done with Winter, Are You? Last week fellow photographer DK Hawk, and I traveled to the Eastern Shore of Maryland to photograph one of our favorite places-Blackwater NWR. It was so cold, 17F, that we could hardly hold our cameras. our fingers hurt. We mostly drove around, getting out for a few minutes to shoot wildlife. 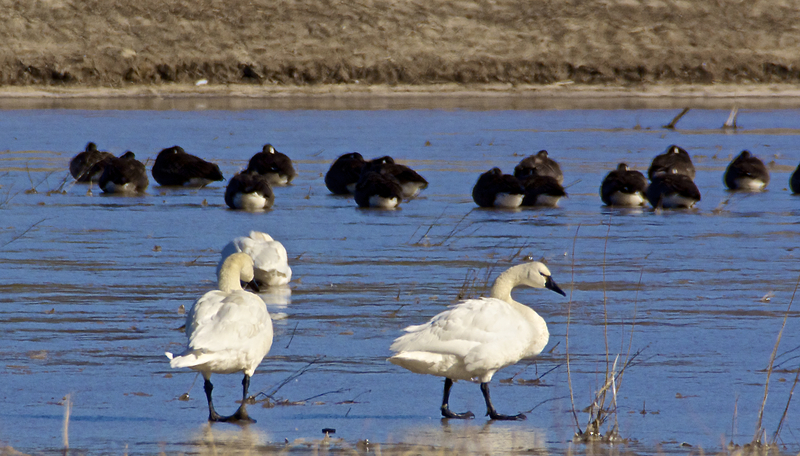 Even the Snow Geese did not want to fly, but hunker down near each other for warmth. I moved to Maryland, supposedly the south, to escape my snowy youth of Chicago and my more recent days in Minnesota, but this winter in the mid-Atlantic was cold, snowy and icy. And as we enter March, it’s not over yet. 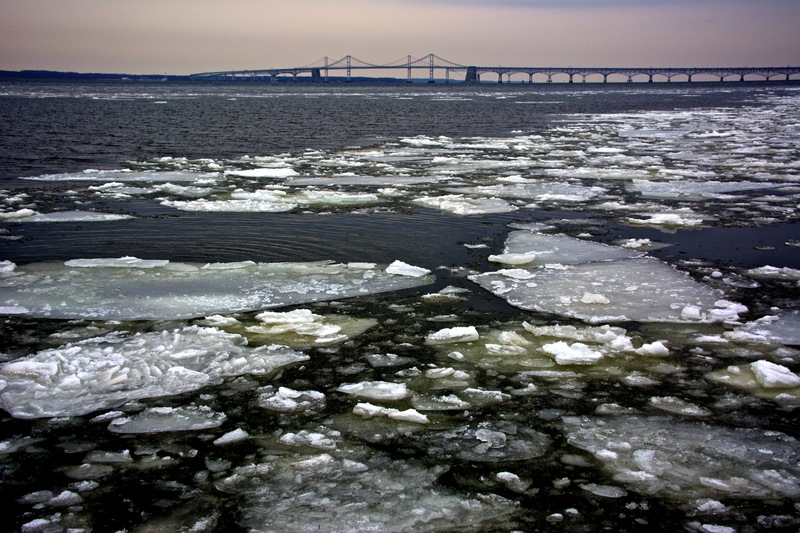 The Chesapeake has ice, the salt marshes have ice. Everything is frozen over north of Florida, it seems. The swans have taken up ice skating, and they have had lots of practice. can feed. Luckily there are patches of water and days where it gets above freezing, but even with downy feathers, I bet theses birds are hoping for Spring too. I hope you enjoy my winter photos. None are linked to a buy page yet, but if you are interested in any of them, you can email me at kathiissermanphotos@gmail.com. All of the above photos are copyrighted. This entry was posted in Kathi Isserman Photos, Maryland, Photography, Wildlife and tagged birds, Chesapeake Bay, ice, Kathi Isserman, landscapes, National Parks, Photograph, scenics, snow, United States, waterscapes, wildlife, winter. Bookmark the permalink. 4 Responses to I am Done with Winter, Are You? Ice Flows is a beautiful shot, the depth of colors in the scene is amazing. Thanks, Beth. I did not know whether I should put it on the purchase site. Thanks for the vote of confidence. 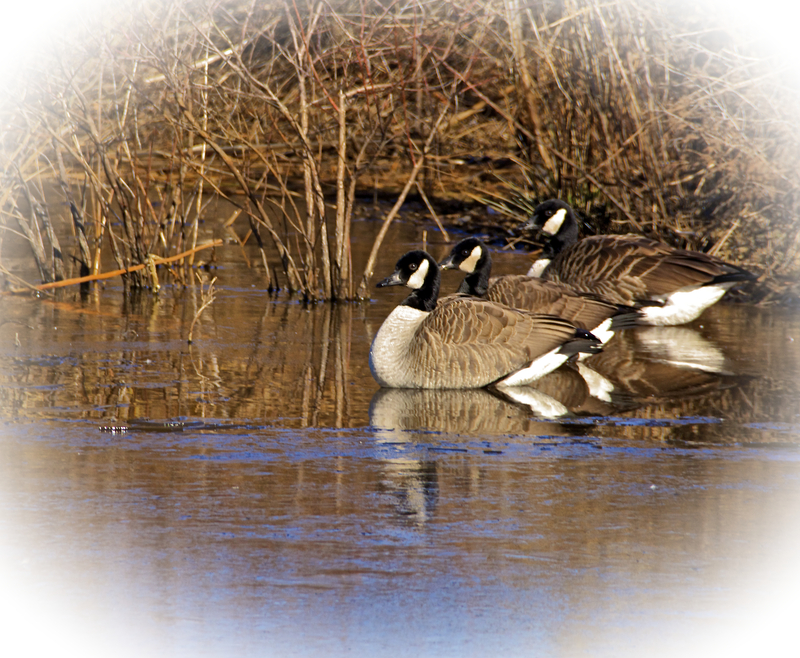 I’m done with winter too Kathi, but I love your winter photos! Keep’em coming til spring arrives!! You are always the best, Cheri!